My husband, Bob, is not a liver lover. In fact, if I tell him that liver is on the menu, he will politely decline to eat it. Yet, I know that organ meats are extremely important to our health. And I definitely want him to be healthy. So I did something a little bit sneaky. 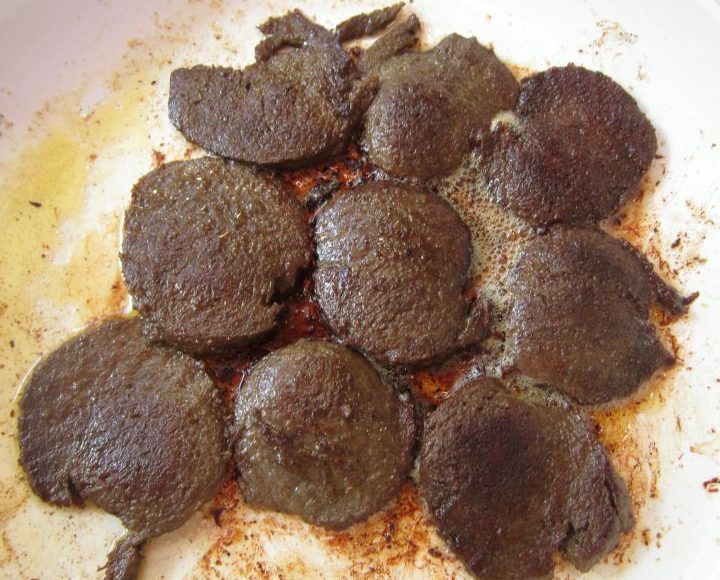 I bought some US Wellness liverwurst which contains, not only beef liver, but kidneys and heart as well. I semi-thawed it, cut it in two and put the rest back in the freezer (half of a roll is plenty for us). Then I cut the remainder into eight slices and put them into a big frying pan with a lot of butter. At the same time, I cut up four or five medium mushrooms and put them in a different saucepan with a mixture of ½ butter and ½ Annie’s organic Worcester sauce. While the mushrooms were cooking in this mix, the liverwurst was frying away in the big pan. Bob saw me cooking and asked what was for lunch. I told him, “Sausage.” I let the liverwurst get crispy on both sides and served it up covered with the mushroom sauce. It was delicious. A couple of weeks later, I repeated the process. Bob again asked what I was cooking and I told him, “Sausage.” The third time I did this Bob told me that he had figured out that it was fried liverwurst, but it was okay because it was one of the best meals he had ever had. 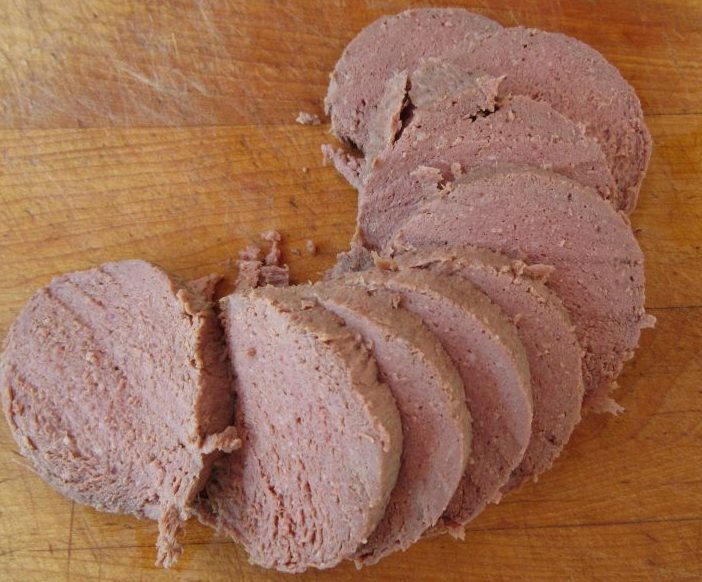 Cut liverwurst into 16 flat pieces. Fry in butter until crispy—about ten to twelve minutes each side. Cut mushrooms into smaller pieces. Toss in a pan with the ¾ cup butter and Worcestershire and cook. 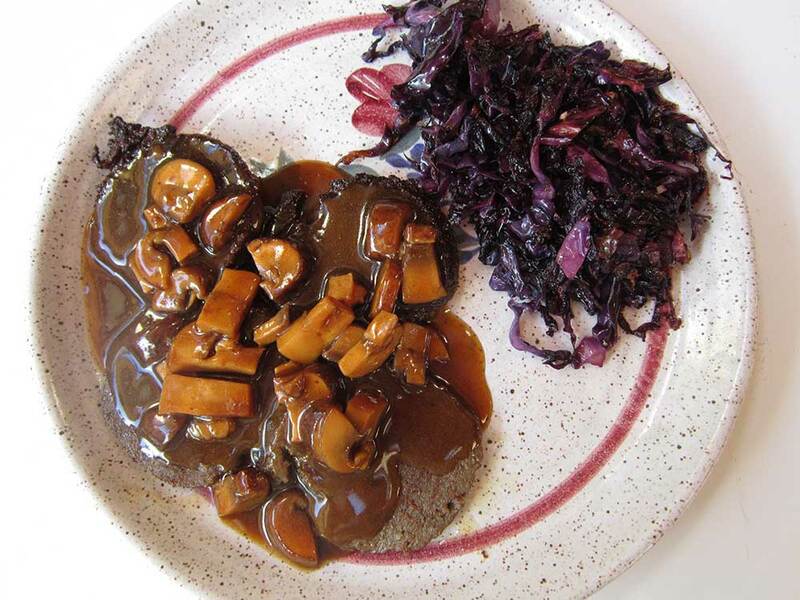 Place liverwurst on a plate and cover with mushroom sauce.